Clay Aiken – Two More Days!! In How The Grinch Stole Christmas, what biological shortcoming made the Grinch so mean? It is always a fun day when Clay Aiken is all over the internet! Tuesday, there was some fun things to read, see, and hear! 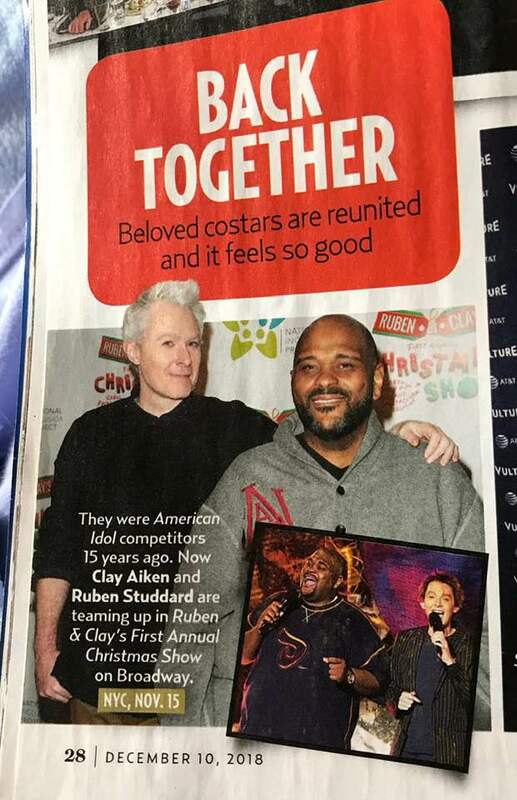 Did you see Clay and Ruben in this weeks, US Weekly? It’s been a long time since Clay was in this magazine. 16 years ago come January,Ruben Studdard and Clay Aiken shot to superstardom as the winner and runner-up of American Idol Season 2. Now the boys are back together on Broadway (a debut for Ruben!) 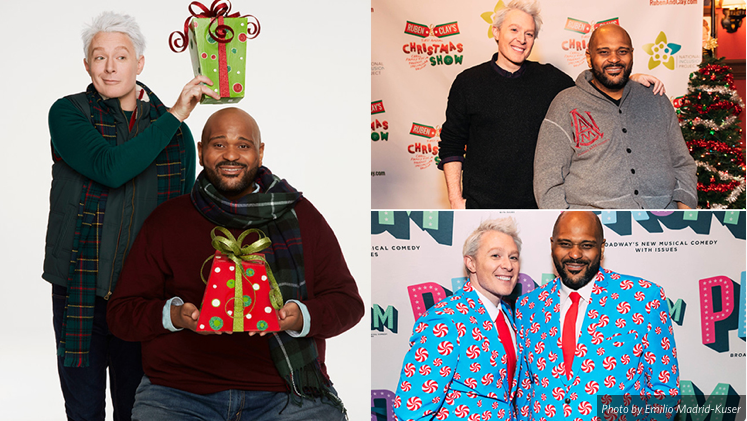 this month with their hilarious (and incredibly sung) new holiday concert Ruben & Clay’s First Annual Christmas Carol Family Fun Pageant Spectacular Reunion Show, running December 7-30 at Broadway’s Imperial Theatre. …Don’t miss Clay & Ruben live at Broadway’s Imperial Theatre December 7-30. Clay starts talking at the 27:00 minute mark, but Adam does mention him before that. Clay and Ruben both posted the following video on their social media sites. This is so much fun!! I won't be going till right after Christmas, and I am hoping to be thrilled!! Of course I will!! Thank you, CANN for sharing the US Weekly Article and the interview with Adam Corolla! I wish I could be there. Everyone have fun and enjoy. Who's going on the first day? I'm going on the 19th! Error: Error validating access token: Session has expired on Tuesday, 21-Aug-18 16:13:01 PDT. The current time is Thursday, 25-Apr-19 17:30:39 PDT.